Although usually avoided by mortals, Boethia uses the realm to host prestigious arena tournaments so that mortals can earn her favor. The most well-known of these is the Tournament of Ten Bloods. 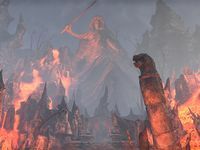 Champions from each of the ten major races of Tamriel are taken to the realm, where they battle one-on-one to the death. The victor earns the Prince's favor, the title of Chosen One, and a suitably martial prize, such as the Goldbrand. In 2E 582, followers of Boethia repurposed ancient Nordic ruins near the city of Dragonstar, naming it the Dragonstar Arena. 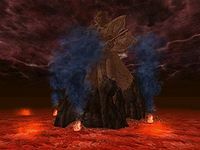 Combatants that entered the arena would pass through Daedric portals as they completed each round, until facing Boethia's current champion in the Champion's Arena, a staging area located within her realm.